Those of you that follow me on twitter (@poder) know that we are in northwest Arkansas visiting Jo’s parents for Thanksgiving. Also if your following me on twitter you know I love food (specifically beets but thats another post). I’ve been to Arkansas a few times now, and thought it might be a good idea to share some of the great food down here with my fellow Yankees. Breakfast and lunch was all airport and not worth talking about. Not much to say here, just a typical southern breakfast made by my mother in law. 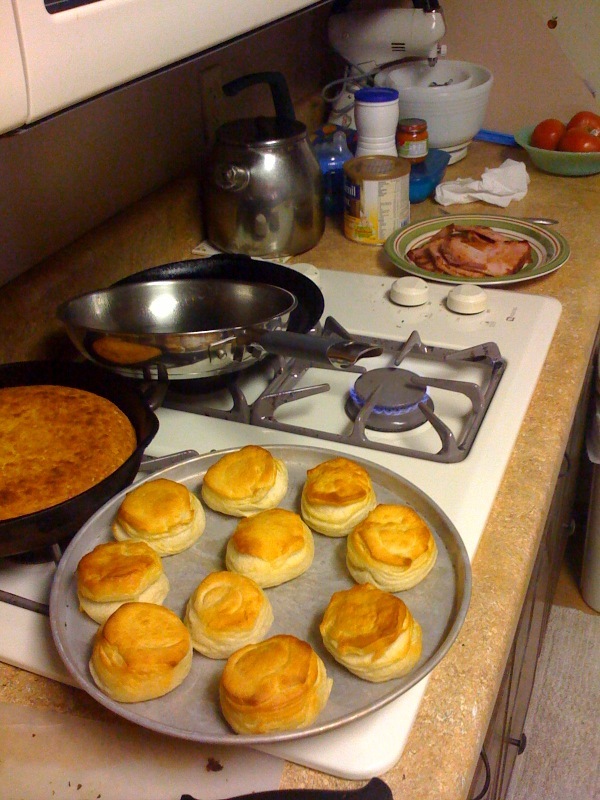 Biscuits, fried ham and eggs OJ and coffee. This place is always on our list of eatery, much like Basta’s in Portland. 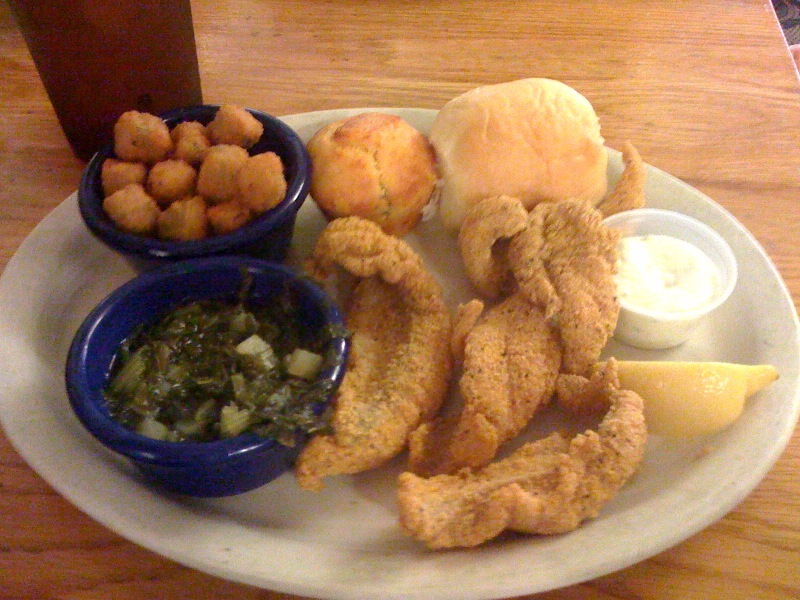 Its not good for much more then the fried catfish, shown above. But the catfish is about as southern as it gets. Crispy and good, the okra was also pretty good, again if they fry it at Calico its good eating. Pretty much a rule of thumb for life. Look lets face it, we are in Northwest Arkansas, the birth place of Wal-Mart. Love it or hate it its a part of life. And its open late, I bought this Coke at 11:56 pm, so still on day 2. I did not eat dinner, between the time zone making use eat a very late lunch, and all the fried food at Calico Country I had my fill. But how can I resist a holiday Coke. I cant, and I didn’t. It tasted full of holiday cheer. Preview for the big day tomorrow, fried turkey and trout.